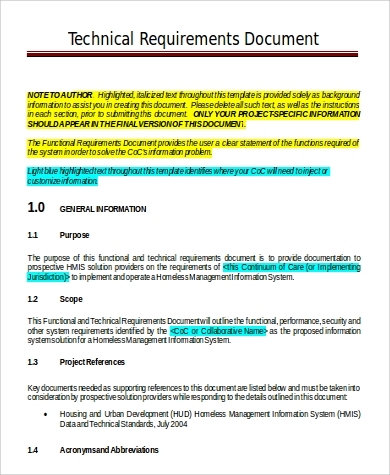 Requirements documents are a general term for anything that needs proper exploration before being used or operational, and these can cover business documents or application software to be enabled. The wide and dispersed meaning with which the broad term is used on multiple examples are being covered in our website that anybody can print for whatever purpose these may serve. 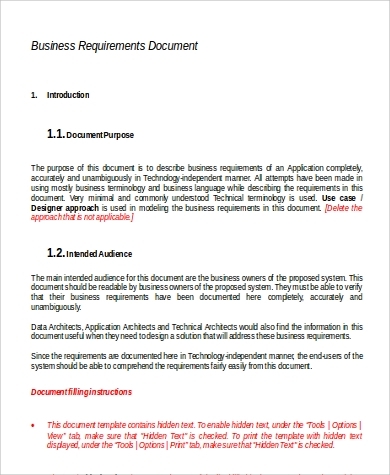 Our Business Document Samples cover the requirements needed to open applications intended for business owners who need a system for business documentation. These are all available free for downloading and can be printed and displayed alongside their intended application for easy viewing. 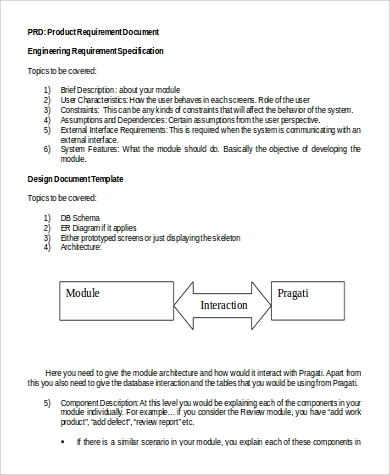 Requirements documents are often called Product Requirements Document (PRD) that contains all the information pertaining to the requirements of a certain product. Their primary purpose is to let people understand the purpose of the product and how it works. 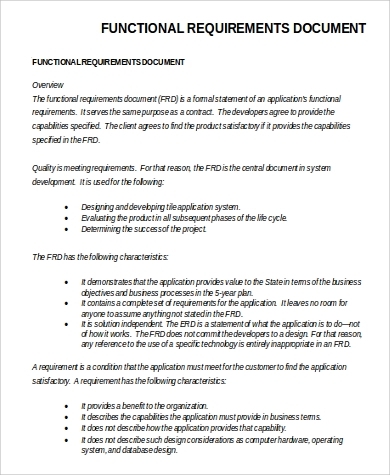 While PRDs are mostly for software products, requirements documents can be used for all types of products and services. As mentioned above, PRDs have a wide coverage of uses that can be utilized and used for most certainly all products that need instructional materials for users. 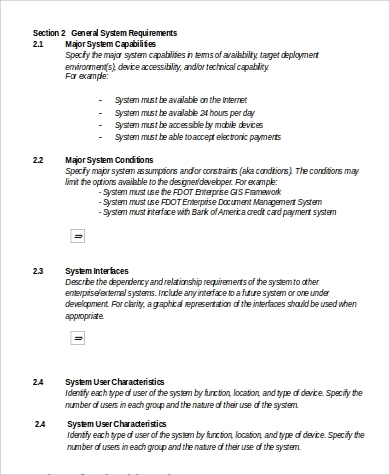 Depending on the type of product, not all requirements documents have the components listed above. Some products have limited component lists and some are applicable only to software-specific elements. For users or companies who need to send invitations to potential suppliers, we also have free Sample Tender Documents. These can be downloaded for those who wish to choose qualified suppliers based on price, availability to supply, and with excellent delivery terms. 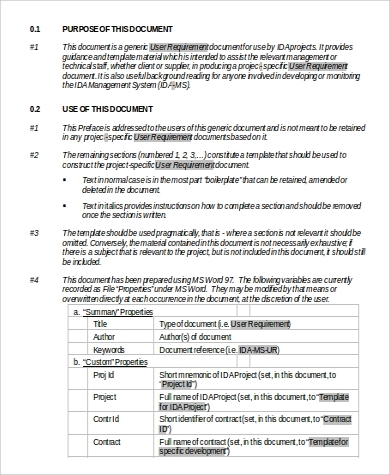 Generally, Product Requirements Documents (PRD) are written for software products to make users aware on the scope of what the product can do, although as mentioned above, any products can be supplied with requirements documents. PRDs, however, have a limit clause wherein these should only be written for information on what the product can do. They should not be intended to give away relevant information that can give third-party users the ability to use the software illegally. 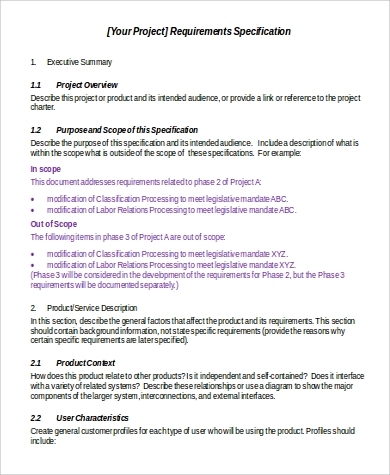 Product Requirements Documents are created specifically from the users’ point of understanding and should not be too technical except in terms where a familiar title is lacking. 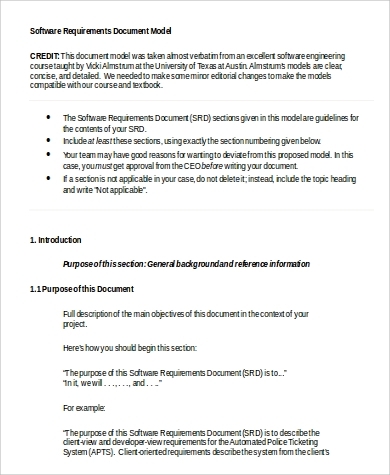 Requirements documents also have a use for a company’s Marketing Research Department specifically in project management and product marketing. 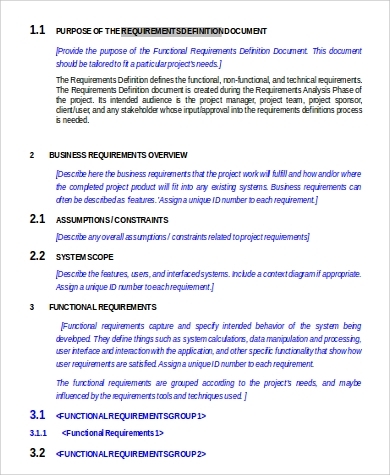 Market requirements documents are written for where definitive goals are set and met amid the given constraints that typically hinder a project in terms of scope, time, quality, and budgeting requirements. 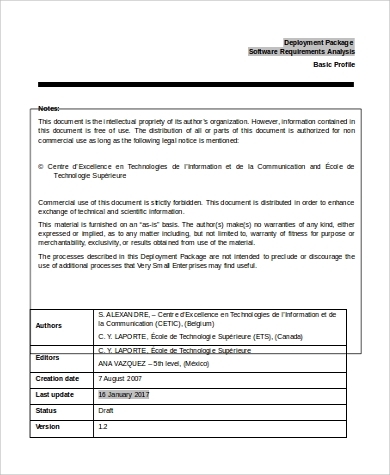 Our Sample Business Requirements Documents have included marketing requirements documents samples and technical requirements documents that can be used for market research and software usability. These are mostly intended for project management to meet special goals and objectives set for beneficial change and added value.